Modern technology has generally adopted a minimalist nature. Eradicating unnecessary buttons, smoothing edges, and simplifying designs has in turn made everything look the same. The retro-style tech trend seeks to mix modern technology with a more…pre-owned style, and add a little bit of nostalgia back into these same modern products. 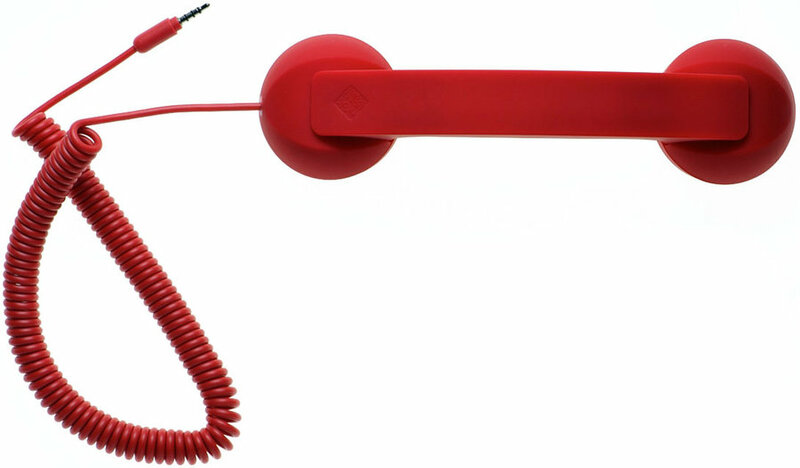 The traditional old handsets found on retro telephones have been revamped to give you a new way to talk on your iPhone. The handsets are functional, stylish and simple to use. The receiver is simply plugged into your Apple device and have one simple call button, to answer and hang up. As well as being a novelty item, the makers also claim it has health benefits, as the actual cell phone is far from your head, thereby reducing radiation. No word yet on a shoulder rest add-on. As certain tech design companies look to eliminate the need for a keyboard, the typewriter is slowly making a comeback. 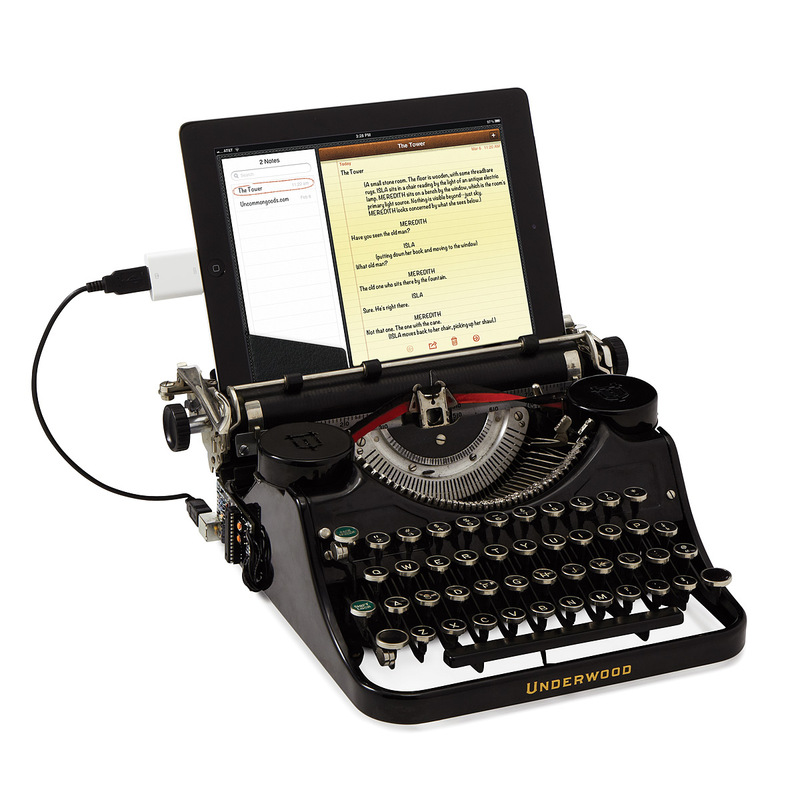 These USB-connected accessories are built and work exactly like old-style typewriters, but instead of loading paper into the machine, you load your iPad. Your mobile device sits where the paper normally would and you can type away by hitting the keys of your typewriter without having to touch the device’s screen. If you’re a baby boomer, there’s nothing that says music like vinyl. 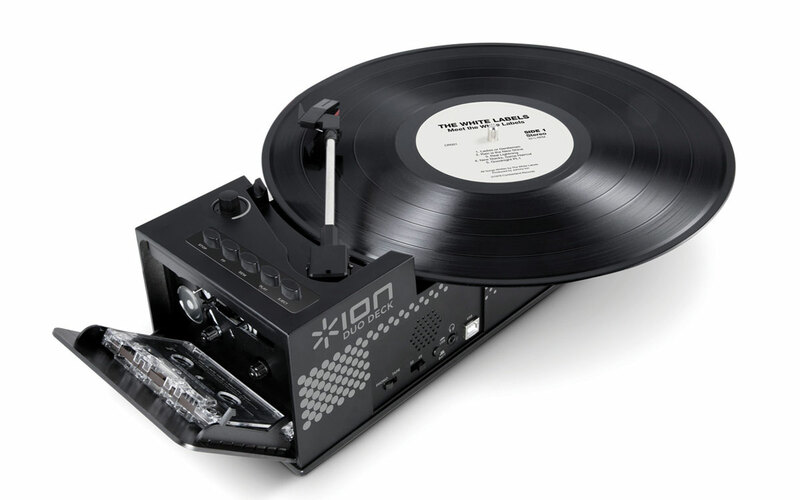 The Duo Deck turntable is a device which offers a modern twist on old vinyl record players. This portable product, using only a USB connected power source, not only converts playback of vinyl into mp3s but also plays your old cassette tapes too. Remember when televisions were on the floor or placed on a cabinet, rather than on the wall? The LG Classic TV combines design from the 1960’s with the latest modern technology. Instead of hiding buttons and dials, as today’s flatscreens do, this new product puts them all on display, creating a stunning modern device with a classic retro feel. This item will be perfect for those that miss the traditional clanging of the old-fashioned style alarm clocks bells. 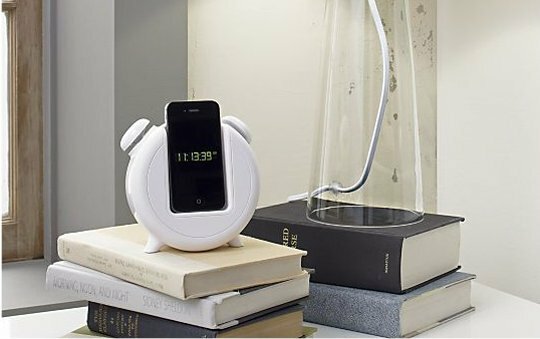 By plugging your iPhone into this device, your alarm will use the device’s bells to create that long missed morning wake up call. Containing features like an antenna, large buttons, a radio and calculator, and looking, well, like a brick, this cell will take you back to the time when phones were actually used to make phone calls. These fun iPhone cases will make your smartphone look super-retro! So much so, that it’ll look like you’re holding a cassette tape to your ear. Instagram is undoubtedly the winner when it comes to photo sharing, but Projecteo is king when it comes to viewing them. Designed by Instagram, Projecteo is a mini projector which fits in the palm of your hand, designed as an analogue tribute in the digital era. The user logs into Instagram and selects 9 favorite images, which Instagram then turns into a 35mm slide. That, along with the Projecteo device, arrives in the mail, allowing you to project your photos anywhere you like. For the lovers and devoted fans of old school Nintendo systems, as we are at Fueled.com, this USB flash drive has been designed to look and feel just like an old NES controller. It comes in different storage capacities, up to 32GB. These items don’t necessarily add any value in terms of improved performance, but they do leave room for sentimentality and will give you a good chance to reminisce about products from years gone by. We are Fueled.com, an award winning mobile app design and development house based in New York and London. At Fueled, we don't just build apps; with teams of designers, developers and strategists based in New York, Chicago and London, we create visually stunning products that redefine the technical boundaries of today's mobile development standards. We've built award-winning iPhone, iPad and Android apps used by millions of people for clients ranging from Fortune 100 companies to up and coming startups including Barney's, Coca Cola, UrbanDaddy, JackThreads and MTV. We hold ourselves to the highest standard of usability, stability and design in every project that we touch.